Eric Woolfson (1945-2009) was born in Glasgow, Scotland. He was signed up in the 60s by Andrew Loog Oldham (Rolling Stones producer). Woolfson’s songs were recorded by over one hundred artists both in Europe and America by artists including Marianne Faithfull, Frank Ifield and Chris Farlowe. In 1975, Woolfson joined forces with record producer Alan Parsons and soon realised that he and Alan could form a new kind of collaboration that would allow Parson’s engineering skills to be exploited to the full and at the same time give Woolfson a vehicle for his talents as a songwriter/lyricist. The Alan Parsons Project was born. As well as writing 100% of the lyrics and over 95% of the music for the APP, Eric was also the lead singer and musician on many of the hits including ‘Eye in the Sky’, ‘Time’ and ‘Don’t Answer Me’. Over 50 million APP albums have been sold to date world-wide. Sony/ BMG and Universal Music have recently done a major re-promotion of the APP catalogue and the music is still used regularly in commercials and films internationally. From 1990, Woolfson wrote for musical theatre. His musicals include FREUDIANA (1990), GAUDI (1995), GAMBLER (1996), POE (2003) and DANCING SHADOWS (2007) which won 5 Korean Tony Awards including Best Musical. His musicals have been seen by over 1 million people. Major new productions of his musicals are currently in development. Some of the material from the musical POE was developed into a concept album in the vein of the APP, which took 6 years and over 120 musicians to make. POE More Tales of Mystery and Imagination was very much a follow up to his first APP album, also inspired by Edgar Allan Poe. While working on the re-promotion of the APP albums, Eric developed previously unreleased APP material which he found in the archives which was then recorded and released for his albums ‘The The Project That Never Was’. He was in the middle of recording a Project That Never Was Volume II when he passed away in December 2009 after a 12 year battle with cancer. 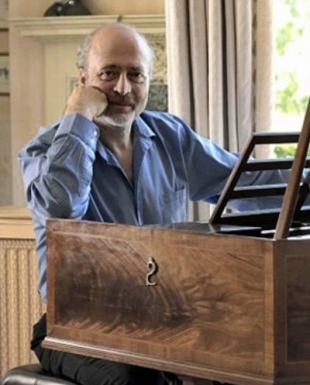 The Eric Woolfson Estate Composer/Vocalist of the Alan Parsons Project and Writer/Composer.